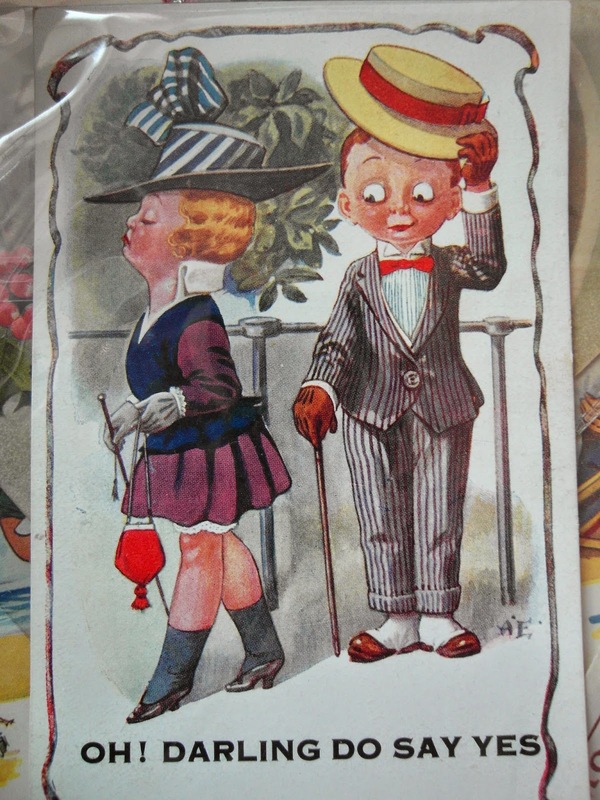 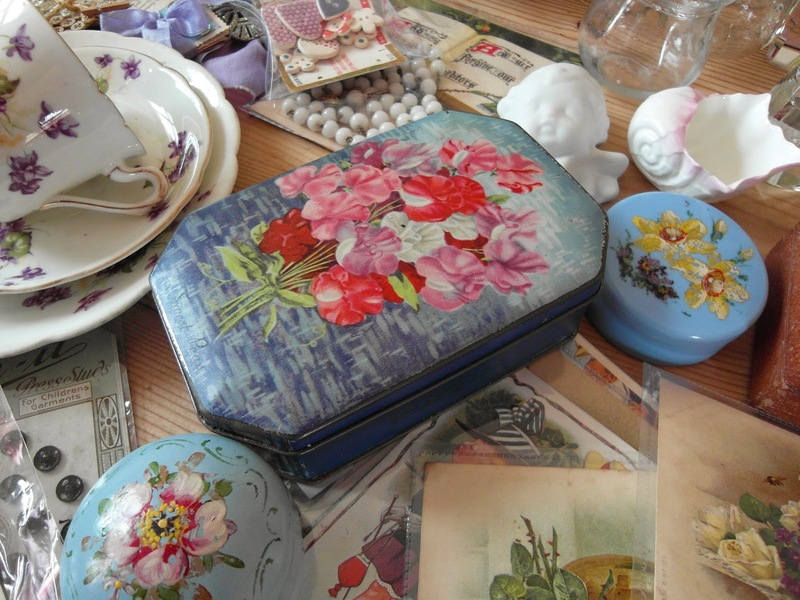 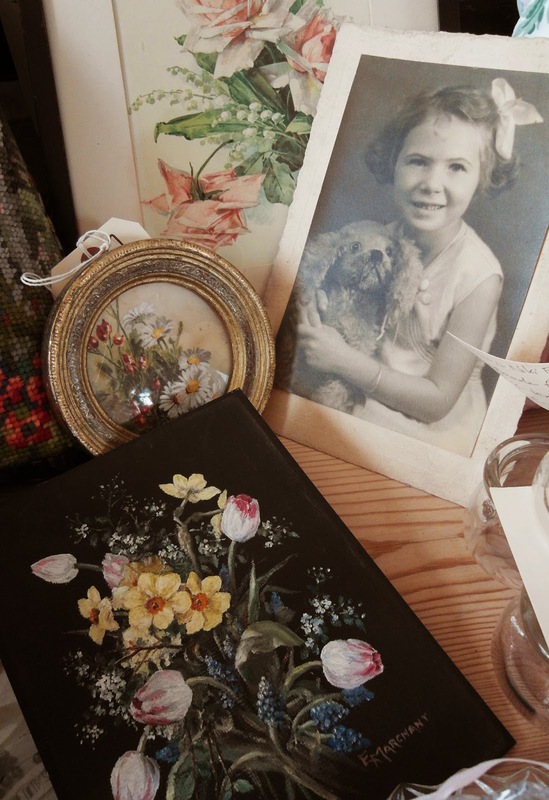 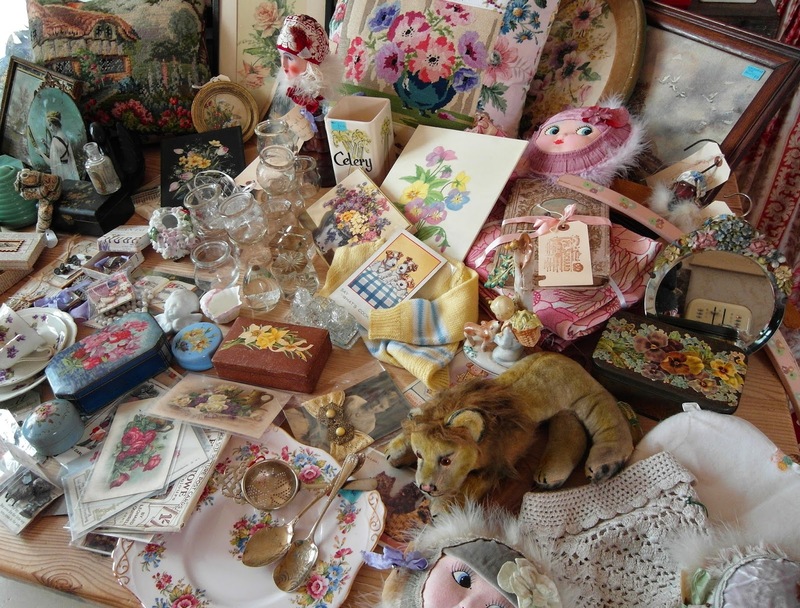 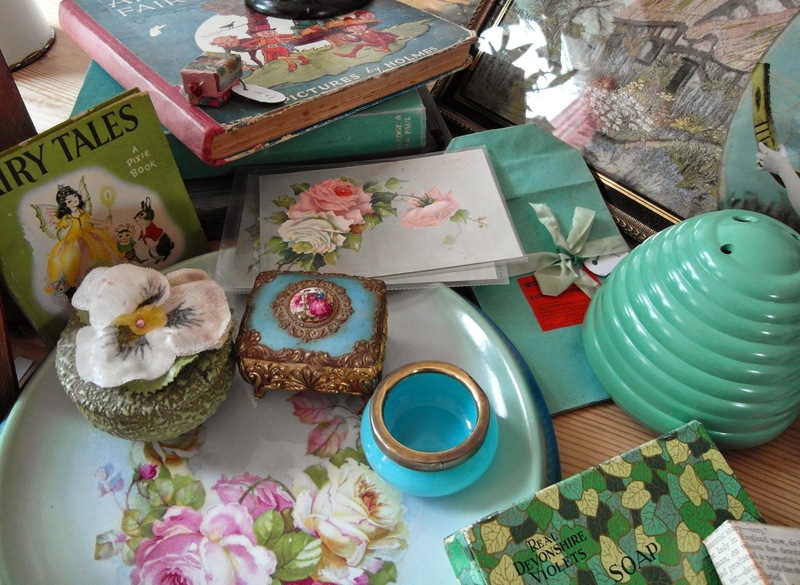 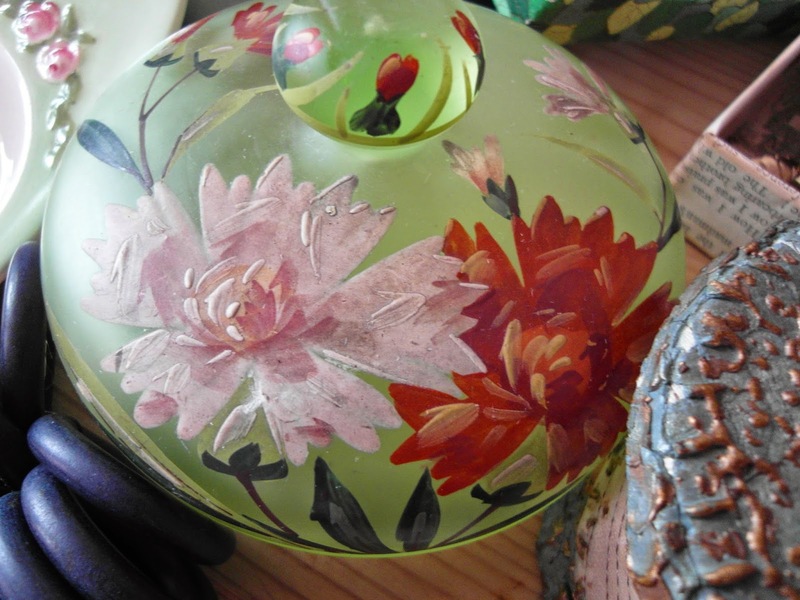 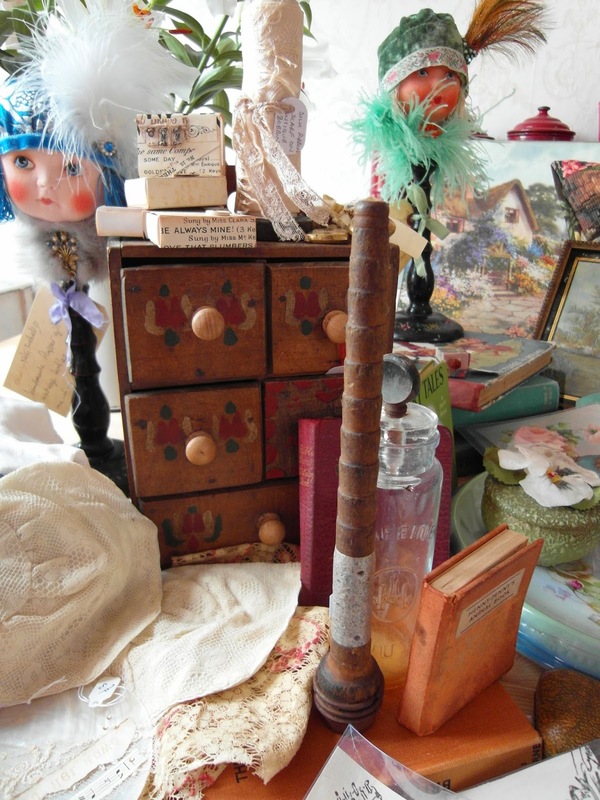 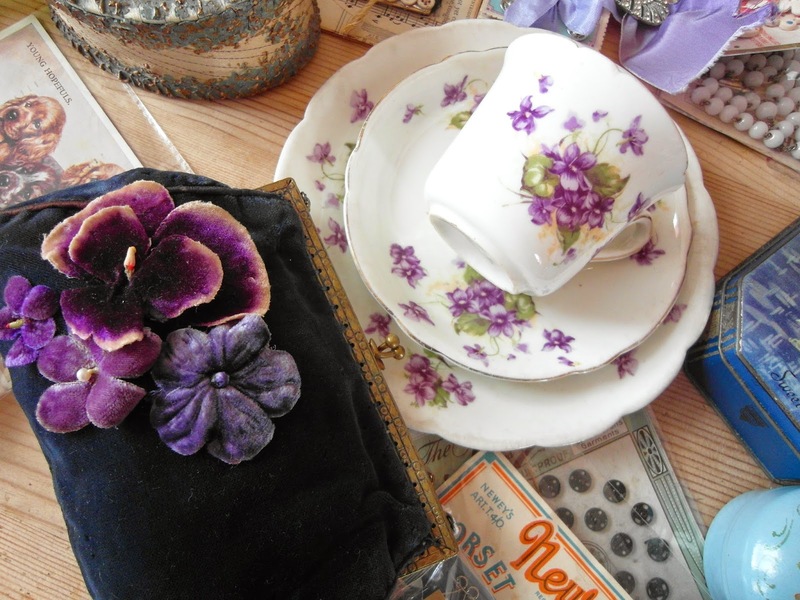 Niki Fretwell: The Spring Vintage Bazaar, Frome. 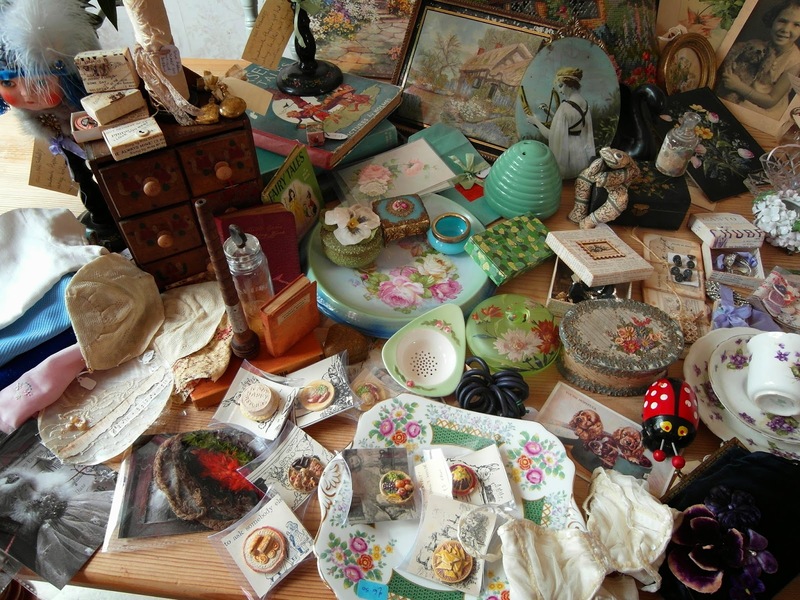 Yes, think there's enough there! 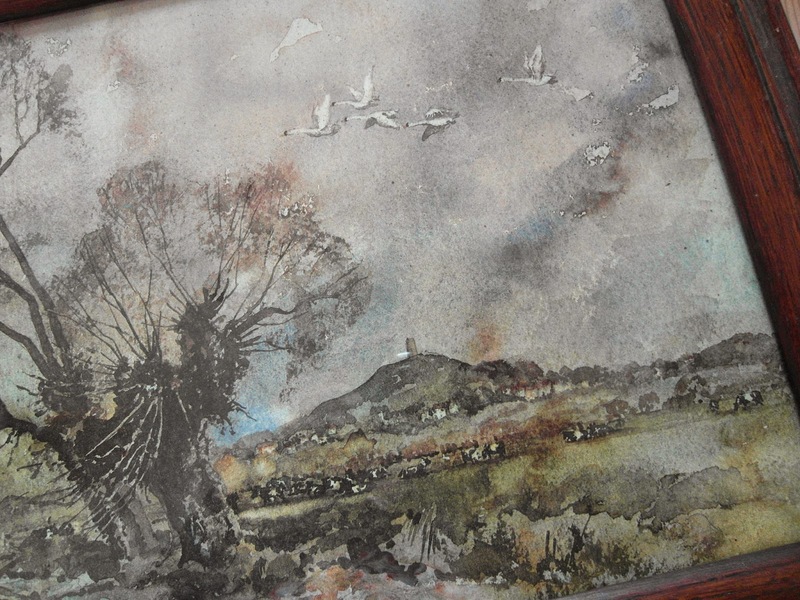 A print of local landmark - Glastonbury Tor. 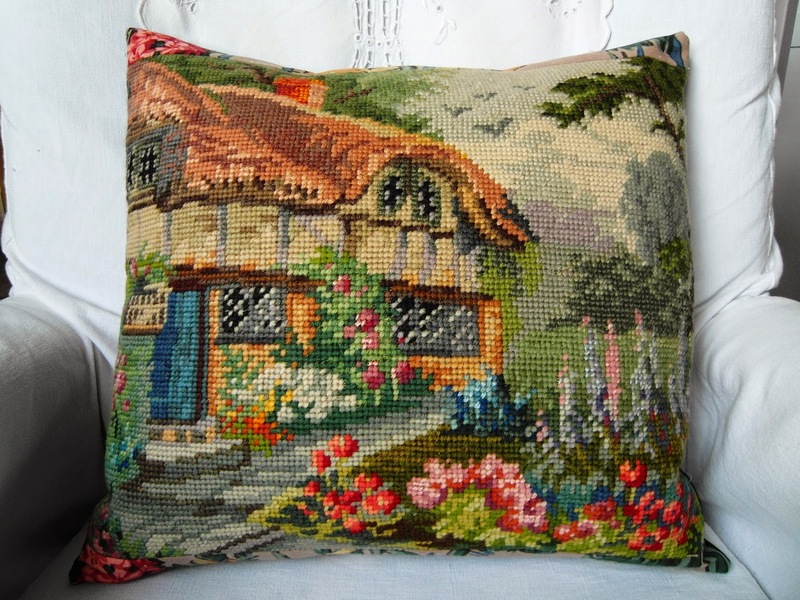 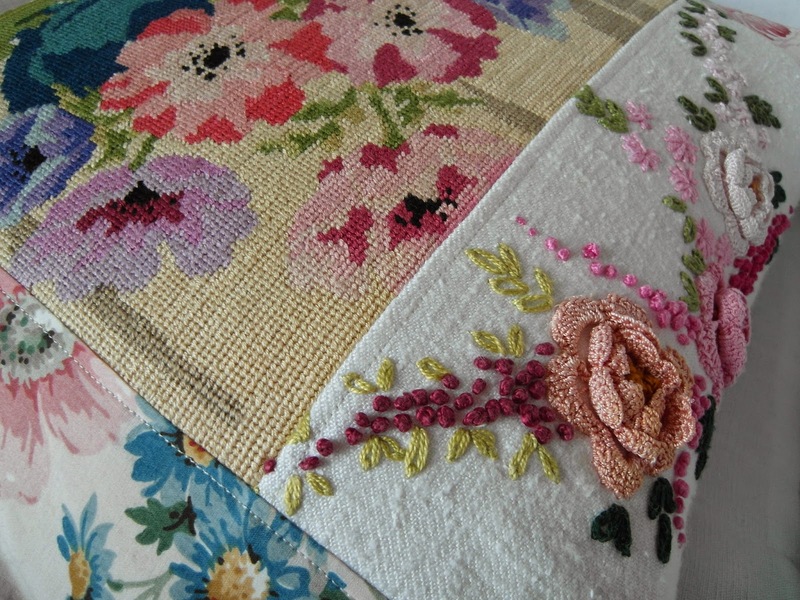 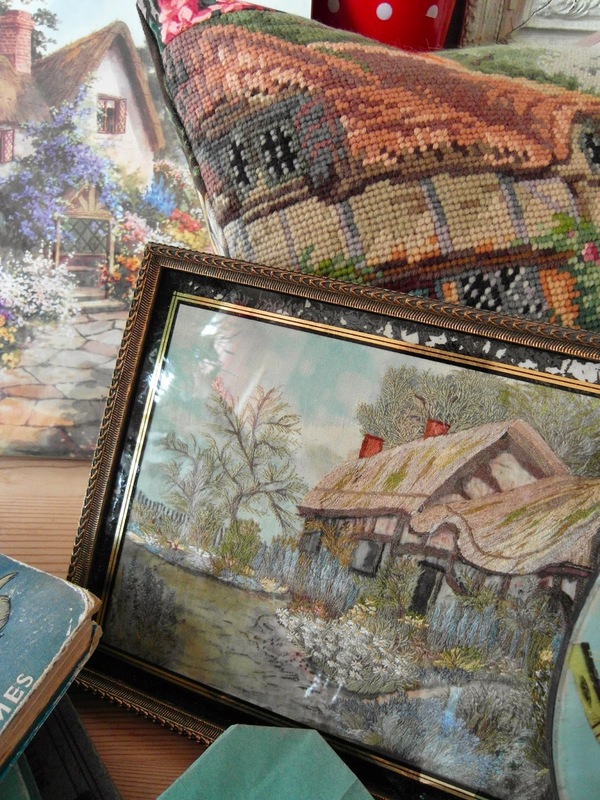 A vintage hand worked tapestry of a cottage and garden, which I've combined with some lovely old Sanderson fabrics to make a cushion. 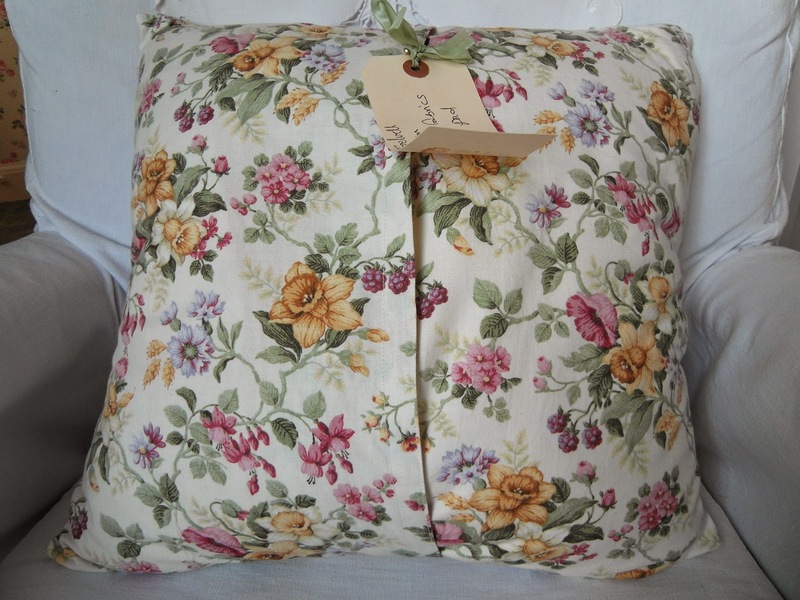 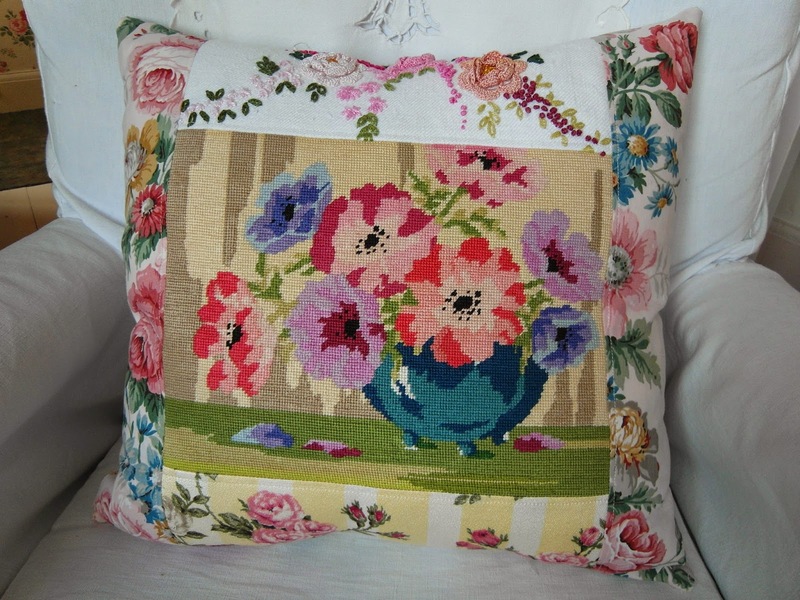 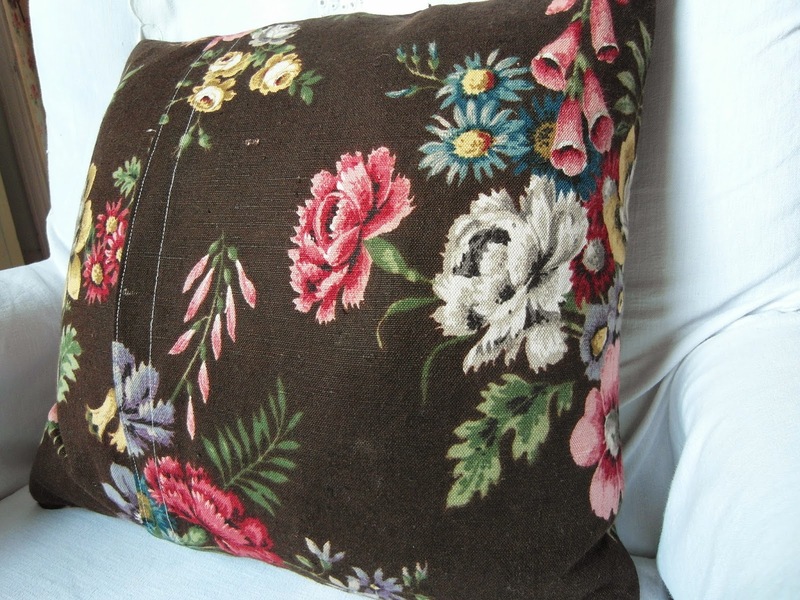 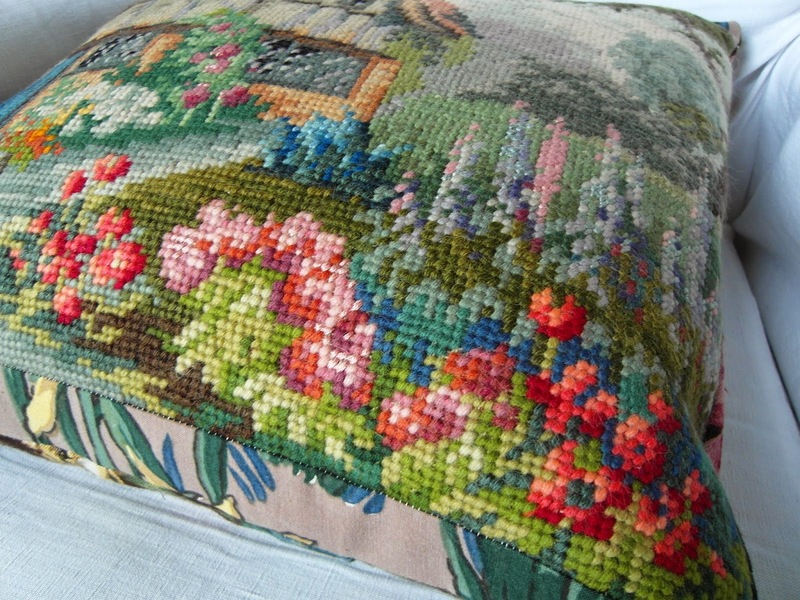 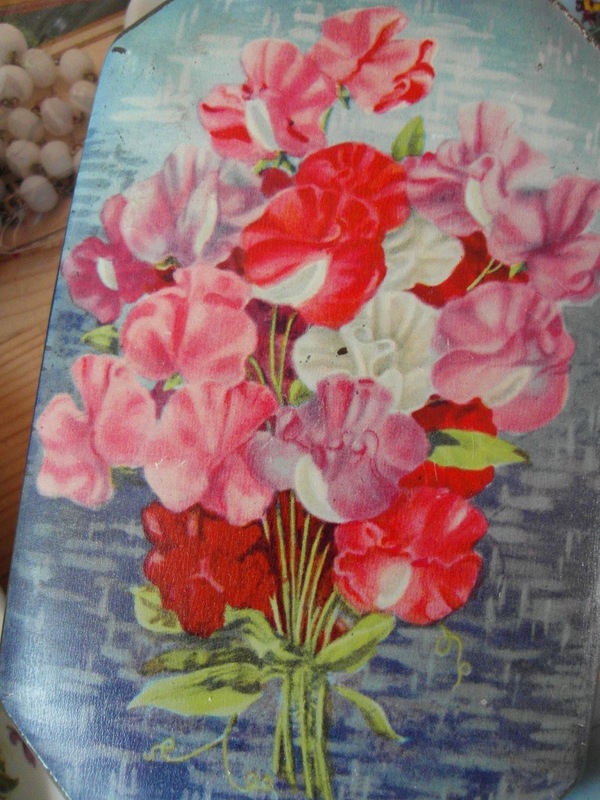 Another cushion with hand worked tapestry panel, this one featuring a bowl of anemones, which I've surrounded with a variety of vintage floral fabrics and unusual hand embroidery. 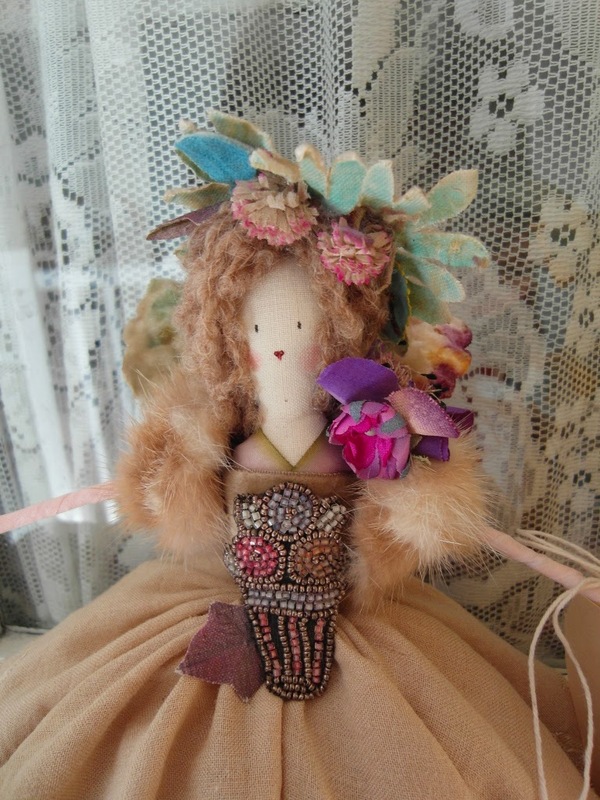 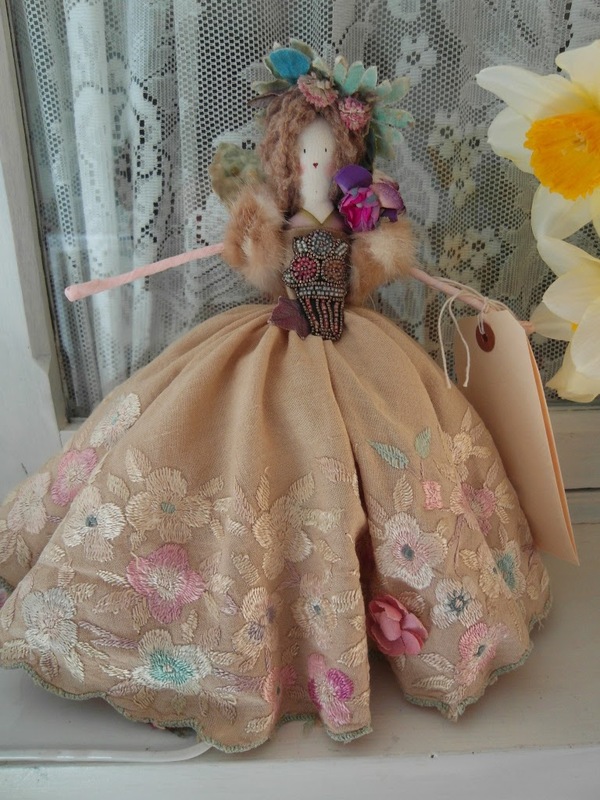 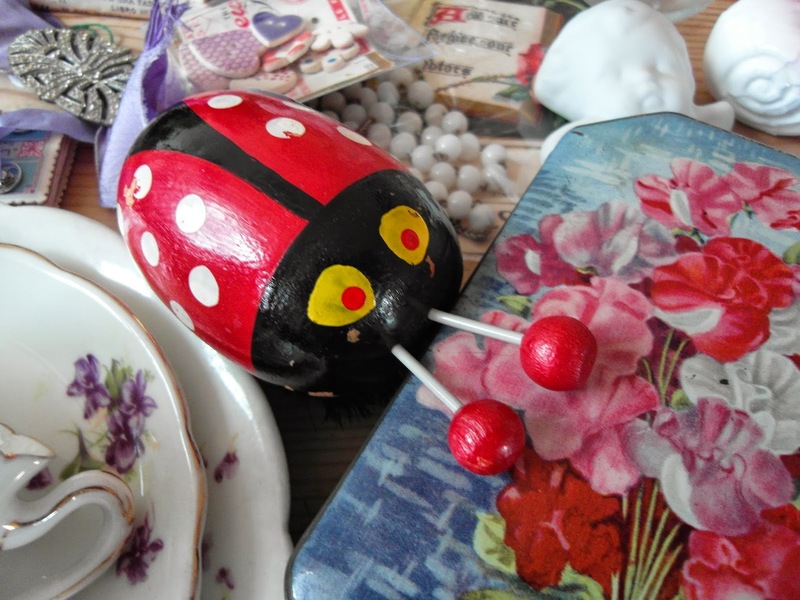 This is Betty Blossom, one of my special one-of-a-kind handmade fairies. 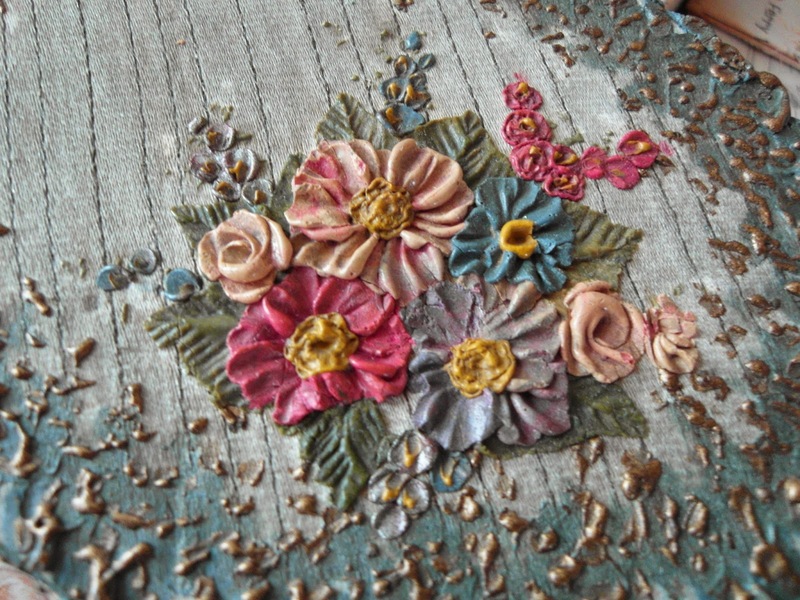 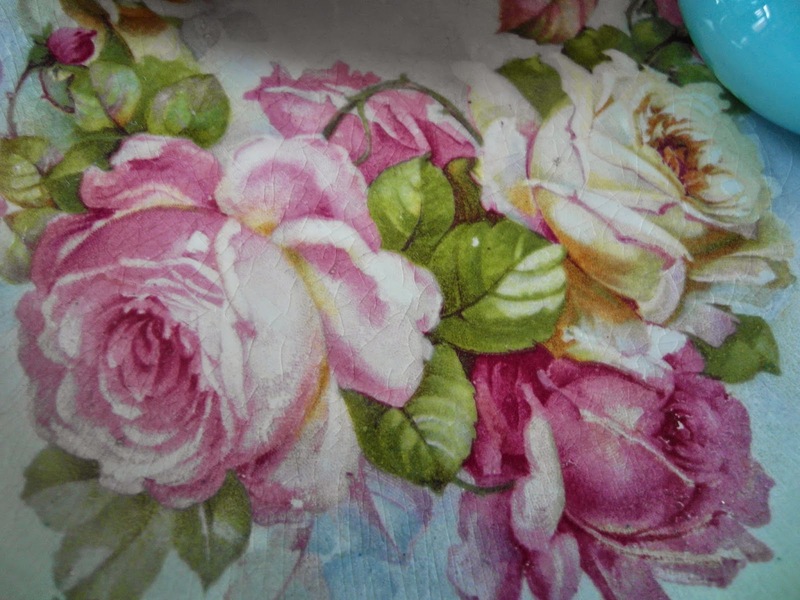 I bought the c1930's embroidered fabric which I've used for her skirt, whilst in Guernsey last month. 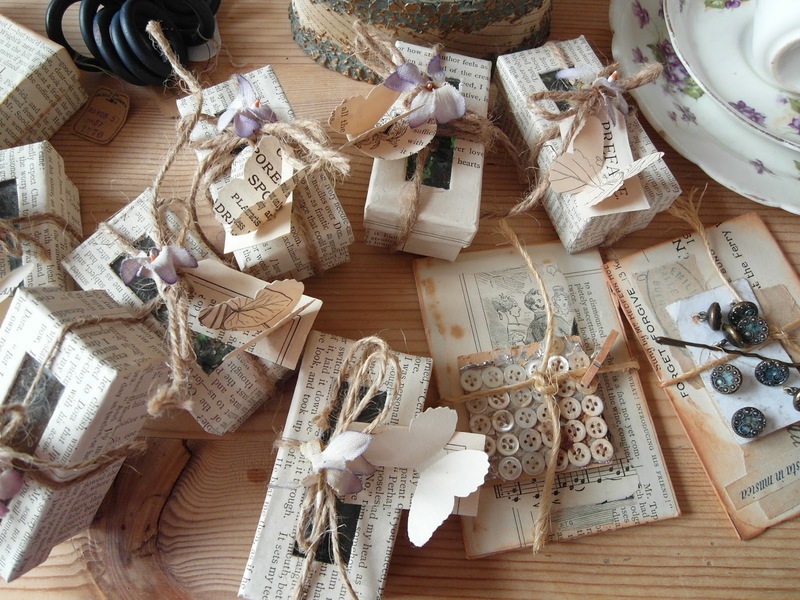 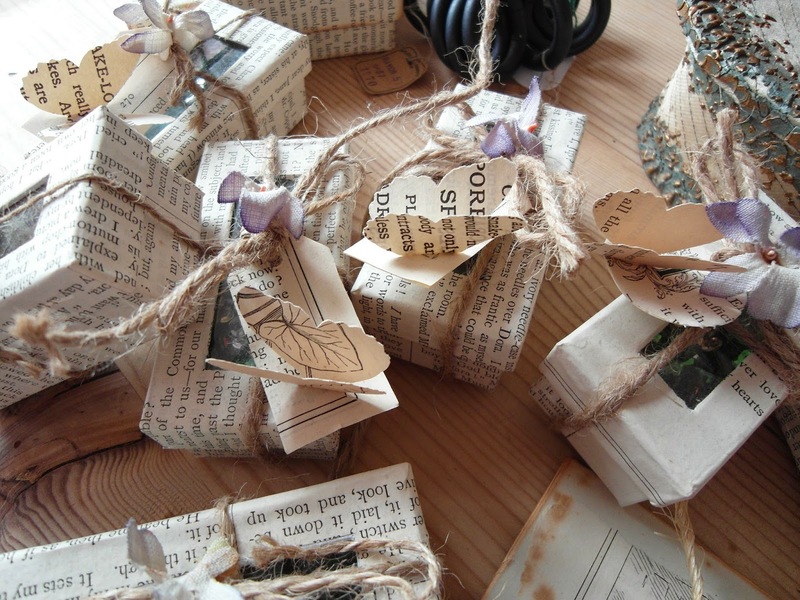 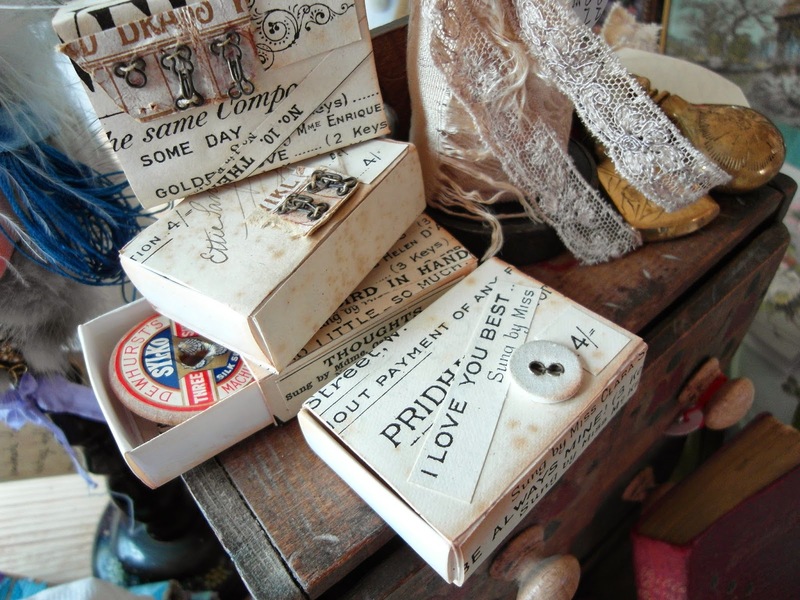 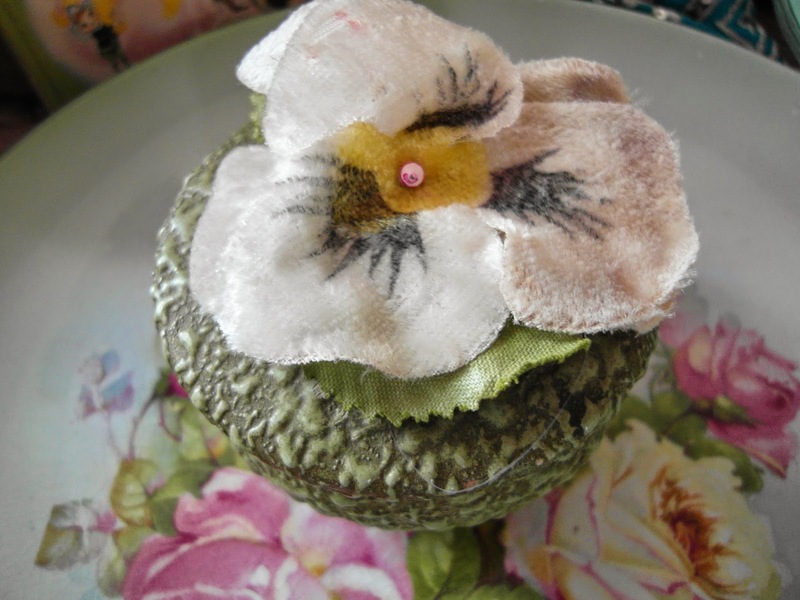 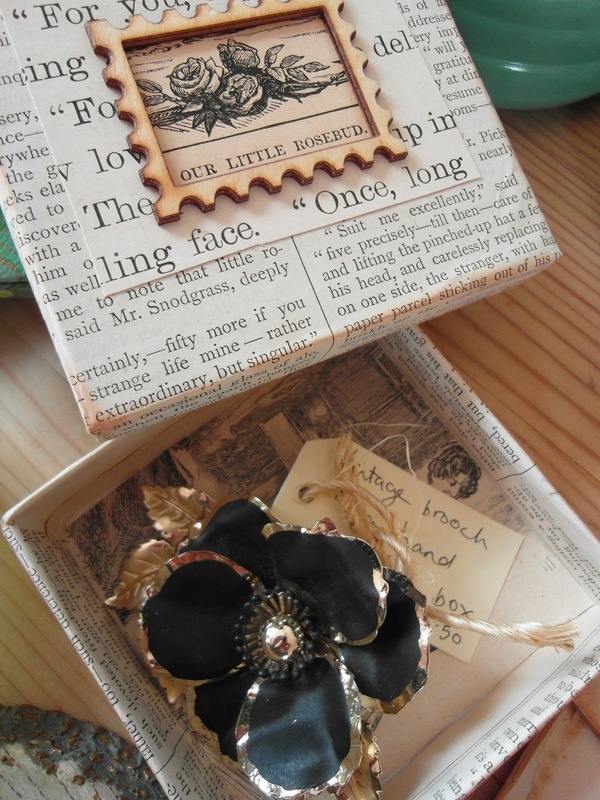 I've been covering various little boxes in antique papers to present a variety of vintage brooches. 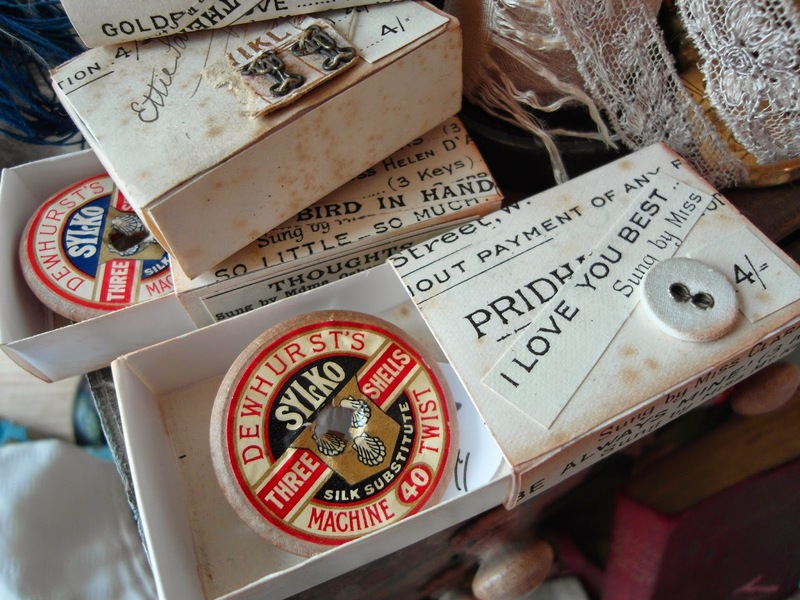 These ones hold handmade brooches, which I created from the ends of old wooden cotton reels, with a brooch bar on the back. 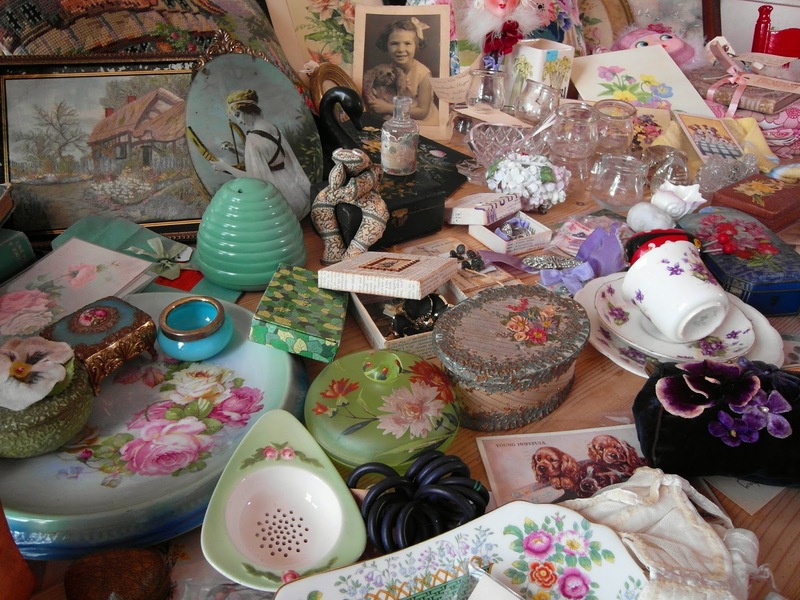 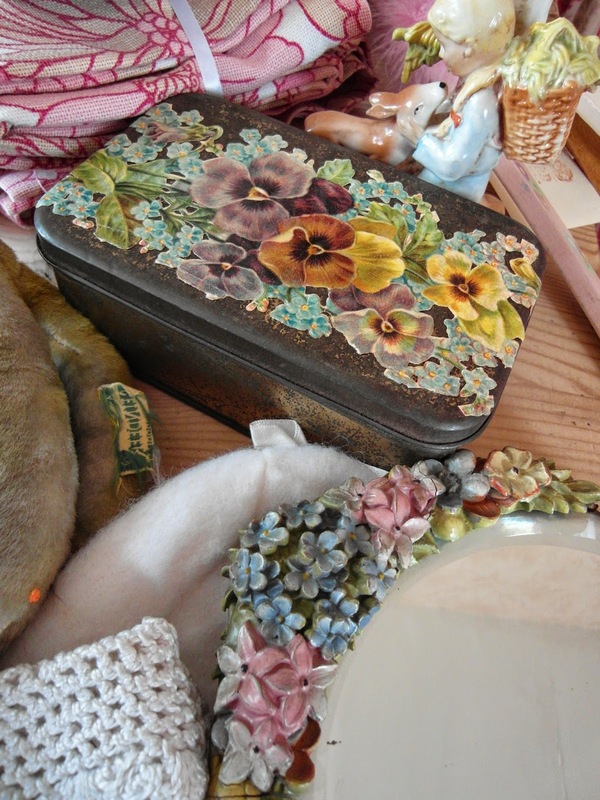 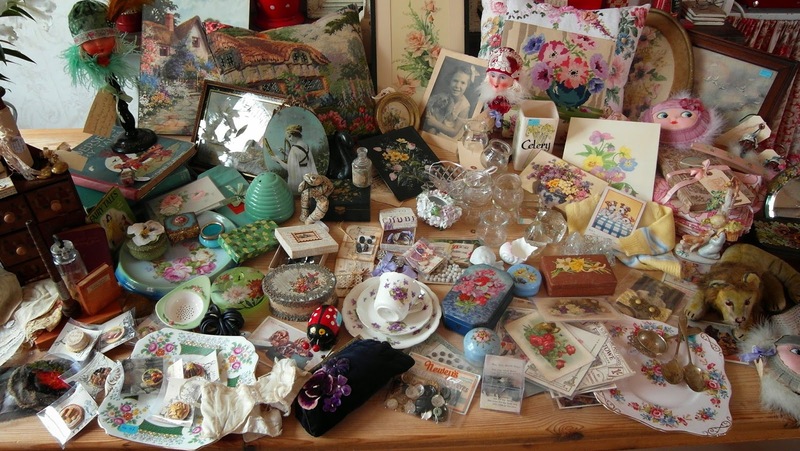 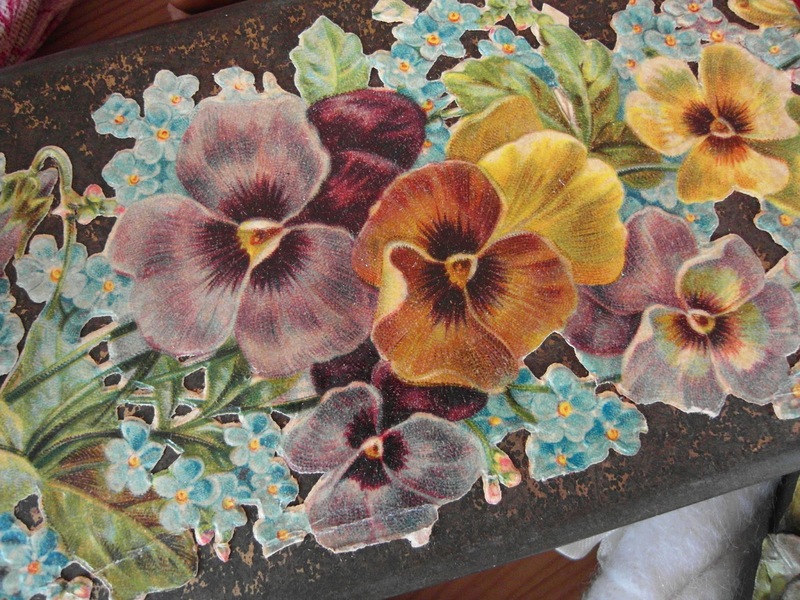 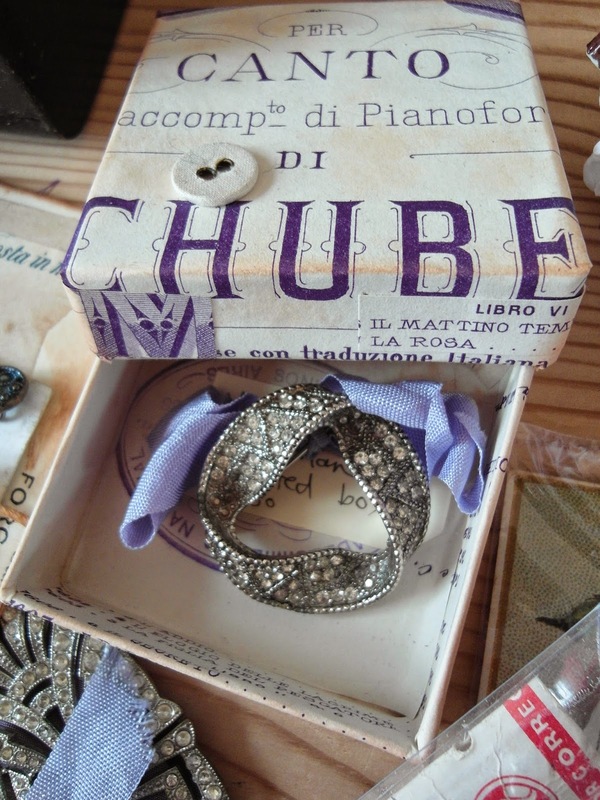 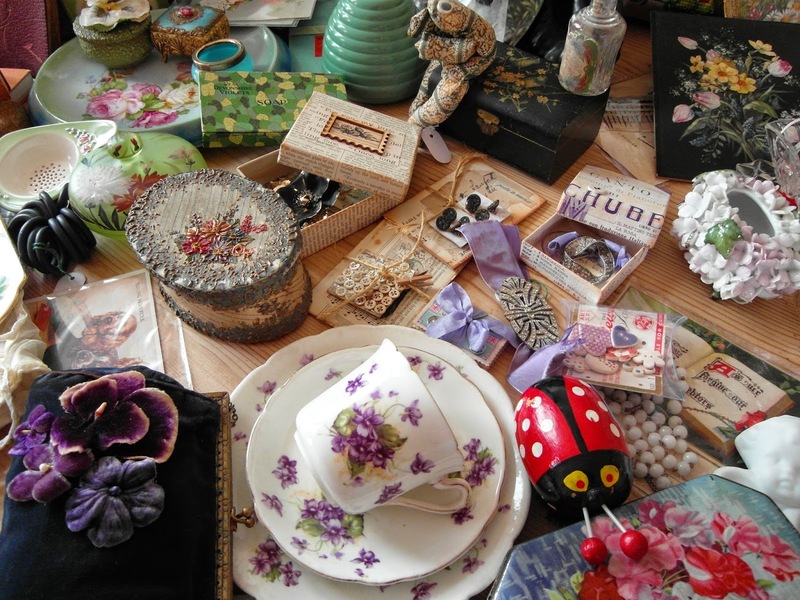 Other boxes contain collections of vintage buttons or sequins. 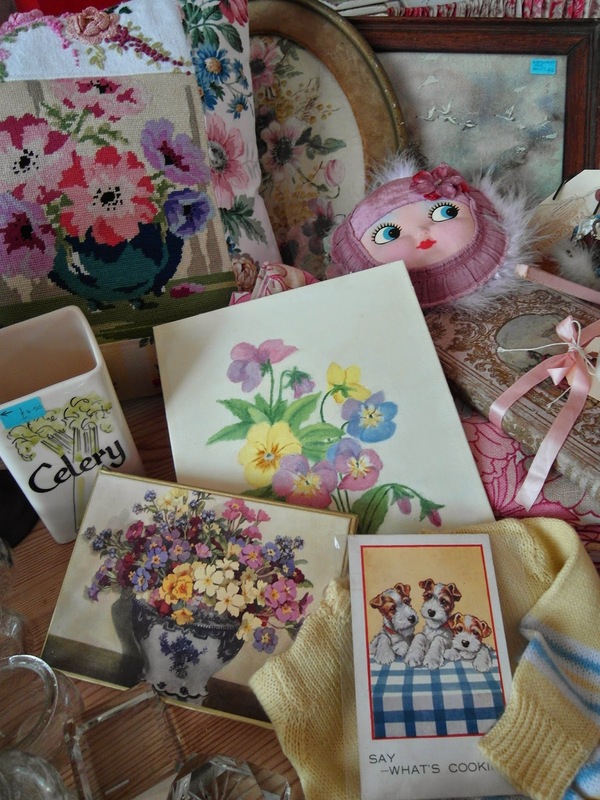 Always a very special fair - Hope to see you there! 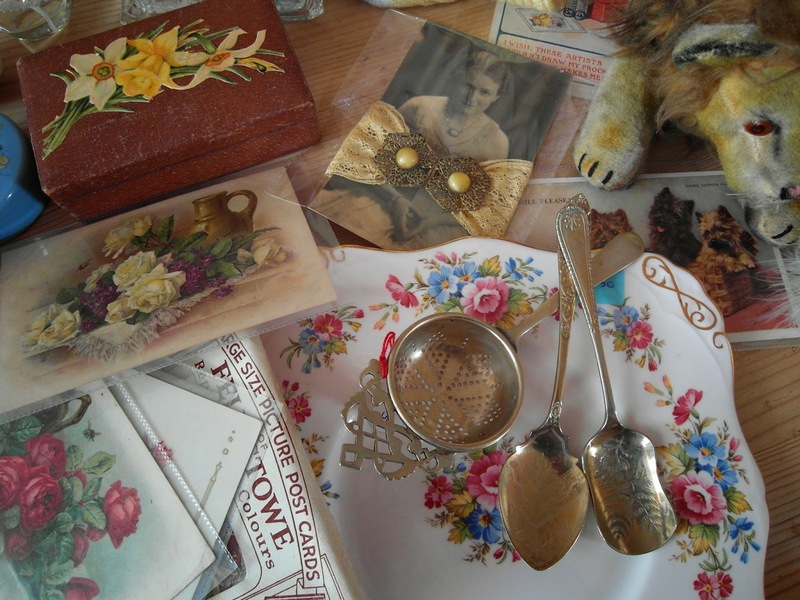 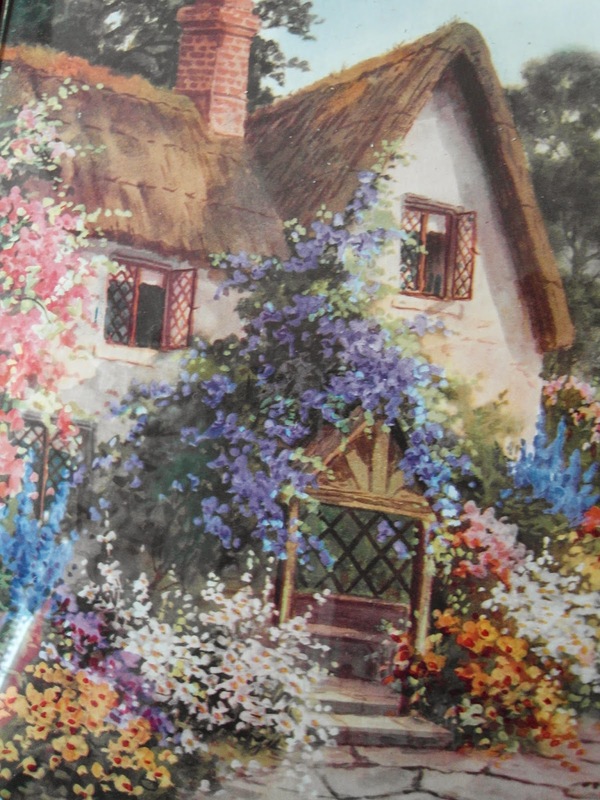 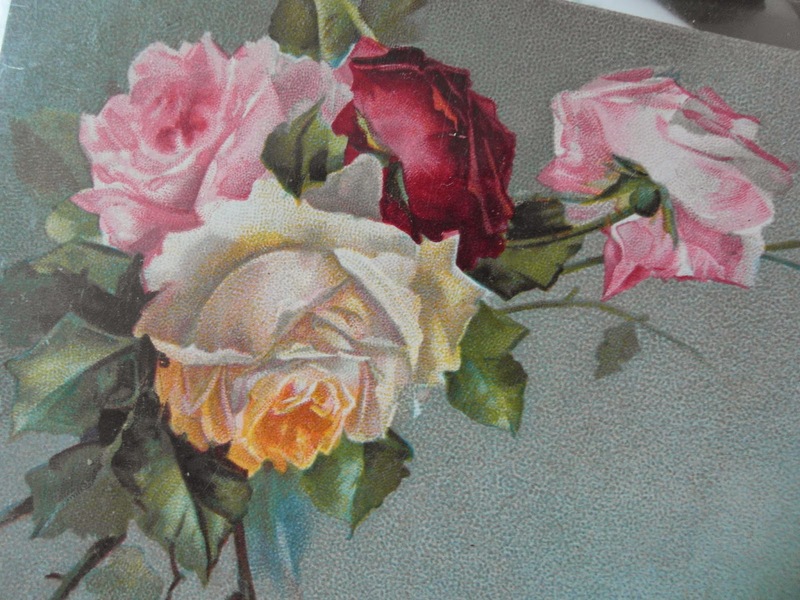 What a feast for the eyes,If I could have travelled to the fayre I would have been spoilt for choice in making a purchase,I LOVE all the flowery items especially the cabbage roses cake plate and the black swan.Such a delightful display, I hope you had a good day.Best Regards Pam.